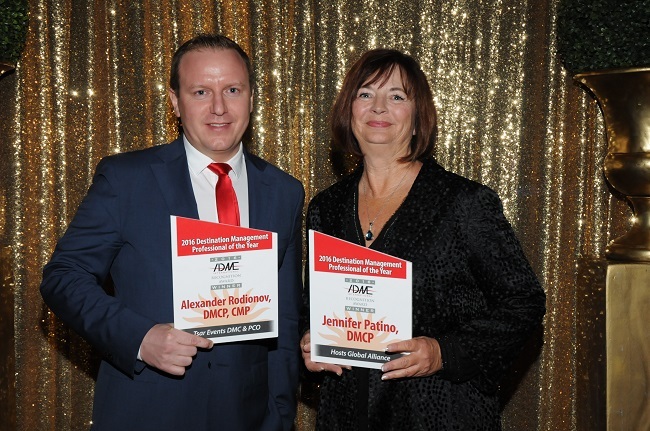 Alexander Rodionov, DMCP, CMP - Managing Director & Owner of Tsar Events DMC & PCO, a Hosts Global Alliance member has won ADME International Recognition Award as Destination Management Professional of the Year. 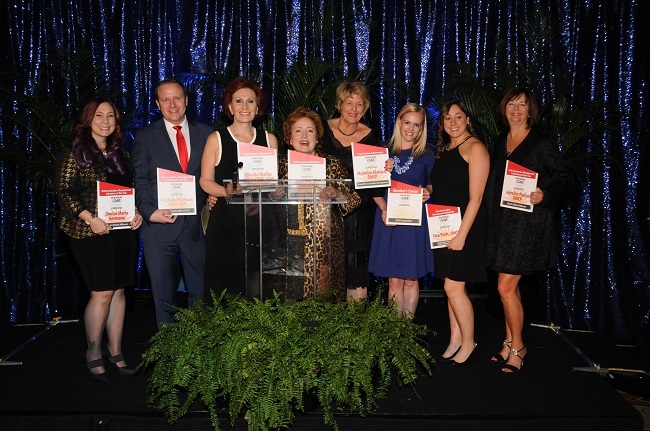 Hosts Global Alliance (HGA) continues their reputation of excellence as DMC members were presented with prestigious awards at the 2016 Association of Destination Management Executives International (ADMEI) Conference in Oklahoma City, Oklahoma. This year, HGA had the highest number of award finalists for the ADME International Awards, with a record breaking 25 finalists. On Saturday evening, HGA members proudly accepted their Honors presented at the ADME International Awards Gala among their DMC peers. 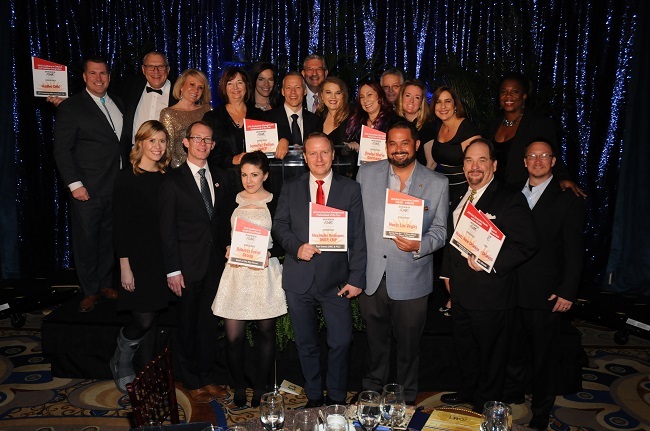 13 HGA Members were recognized with awards for various achievements within the hospitality industry. Hospitality – Hosts delivers. Every time, everywhere. Happiness – Create it. Enjoy it. Live it. Every day. Heart – Open it. Share it. Make a difference. Hip – Be fresh. Be bold. Be unique. Honors – Work hard. Win together. Heroes – For each other. For our community. For our industry. At Hosts we define this as The H Factor. Tsar Events DMC & PCO is The first Russian DMC to earn Accredited Destination Management Company (ADMC) Designation and winner of World travel awards 2012 & 2013 & 2014 & 2015 as Russia’s Leading Destination Management Company. Tsar Events DMC & PCO has become first DMC who wrote book-instruction for tourists and professional travel planners who are going to Russia – RUSSIA SURVIVAL GUIDE! Also Tsar Events is the only company in Russia with DESTINATION MANAGEMENT CERTIFIED PROFESSIONALS (DMCP) and CERTIFIED MEETING PROFESSIONAL (CMP). Alexander Rodionov, CMP, DMCP – Managing Director & owner of Tsar Events DMCP & PCO, graduated Far Eastern Federal University, major in »Tourism management» with Diploma with Honor, Winner of Russian President Scholarship program in 2001. Author of Russia Survival Guide — book-instruction for tourists and professional travel planners who are going to Russia. The Association of Destination Management Executives International (ADME International) is the only global non-profit association dedicated to increasing the professionalism and effectiveness of destination management through education, promotion of ethical practices, and availability of information to the meetings, convention, and incentive travel industries, as well as the general public. ADME International represents more than 200 Destination Management Companies (DMC) throughout the world. Hosts Global Alliance (HGA) is a worldwide consortium of select Destination Management Companies. We believe that every destination holds the promise of an inspiring experience. Hosts Global Alliance delivers on that promise with unparalleled service, fresh thinking, and a global network of local experts. HGA currently represents over 50 Destination Management Companies, servicing over 190 locations. Hosts Global Alliance provides a full service approach for customers planning group programs in the meetings, convention, and incentive industry for corporations, associations, meeting management, and incentive travel companies. There is always a Hosts solution. Every time. Everywhere.